HILOOOO! It’s me, B.R.B. Back. Finally! I pushed Libby away today. She’s been posting too much deep stuff and it’s no fun anymore. Today is different. Today I am taking over and I’m doing a life in memes/gifs. I got this idea from Libby’s bestest friend Penny who is my bestest friend too but I think she might like me a little bit more than Libby but maybe not. She’s weird like that. But she’s too much fun. Anyway, only because I love her I’m going to share a link to her meme post that you can look at AFTER you read this one. And I think this one may be a little bit funner then hers. *ducks from Penny’s swat*. Oh. I should probably clear something up. These gifs are all from ONE fandom/cartoon. 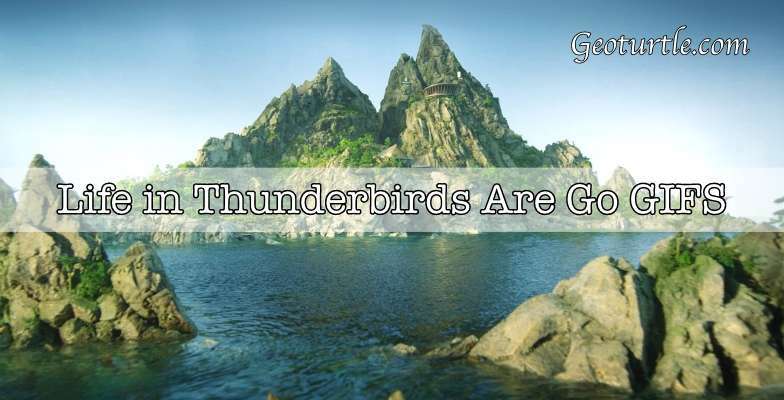 And like I think there’s only one real fandom is Thunderbirds are Go but the world doesn’t agree with me. Anyway. This cartoon series is about 5 brothers, and their adopted sister and their awesome airplanes how they save peoples lives. And they are just awesome. If you like cartoon I highly reccomend it to y’all and the first 4 seasons are on Amazon Prime! So check it out. Ok y’all…. Thunderbirds Are Go! You find the most random stuff.. So you just get rid of it…. Next page Next post: 7 Things I Learned While Paddleboarding. B.R.B., you did a good job with these memes. I hope you’ll do more. I very much like these. I’ve never seen the show. But loved the memes and captions. Bathroom ones are so true!!! I like it when B.R.B. takes over (tho I like it when Libby posts too)! I’m glad you enjoyed it! I’m thinking to do another one of these kinds of posts because I’ve got a lot of gifs still that I didn’t get to use. I just hope Libby won’t scold me about being too immature. *hides* XD. Aww thanks! YESS! That was one of my favorite scenes. Gordon is a hoot.